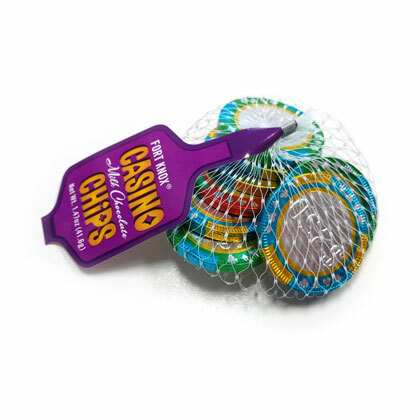 Milk chocolate foil wrapped casino chips. Imported from Holland. Assorted $25, $50, $100 and $250 chips. 1.47 oz mesh bag. OU Kosher Dairy. Approx. 1.5 inches in diameter and 8 coins per bag.